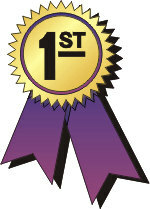 Toronto Dogs Directory: Presenting The Toronto Pet Daily's "Best Of 2010" Awards! Presenting The Toronto Pet Daily's "Best Of 2010" Awards! It is with great excitement that the Toronto Pet Daily announces the first annual "Best Of" awards for pet businesses throughout the GTA. Beginning now until November 15, blog readers will be able to submit any local business they feel goes above and beyond the call of duty with regard to the welfare of our pets. On November 15, the top businesses from each category (the ones with the most reader suggestions) will be posted on the blog, and readers will then have ONE MONTH to vote for their favourites. The winners of the top three awards will be announced on December 15th. Every day, hundreds of local (and loyal) readers check out the Toronto Pet Daily, and who better to judge your fantastic service than your fellow Torontonians! The winning businesses will be published on the site, and each winner will receive decals that they can proudly place in their place of business or on their website. Send an email to torontopetdaily@gmail.com nominating your favourite local business in the appropriate category. You may submit nominations for each category you see fit. In addition, feel free to write a short explanation of why you feel the particular business deserves to be nominated (some of these write-ups will be published along with the winners names). Make sure to spread the word and have your friends & loyal clientele nominate you for the "Toronto Pet Daily : Best Of 2010" awards. Good luck to all, & keep up the great work that you do! 1. Pet Food And Supply Store (can be either independent, or a chain. If you are nominating a store from a chain, please include the address of the store you are nominating).